In Brazil, several statutes discipline insolvency and liquidation proceedings. The most prominent legislative instrument is the Bankruptcy and Reorganisation Act,2 which regulates bankruptcy, judicial reorganisation and extrajudicial reorganisation proceedings applicable to companies, whether they are limited companies, publicly traded stock corporations, private stock corporations or sole proprietorships – with the exclusion of companies controlled by the government. The purpose of bankruptcy proceedings is to liquidate the company's assets and distribute its proceeds to its creditors, used as a last resort in case of severe financial hardship. In turn, judicial and extrajudicial reorganisation proceedings are intended to streamline the company's debt structure, allowing it to preserve its business, retain its workforce and continue to pay taxes. Judicial reorganisation proceedings are entirely carried out under the control and supervision of the bankruptcy court and the judicial administrator, whereas extrajudicial reorganisation proceedings are the result of direct negotiations with each creditor, culminating in the submission of a prearranged plan of reorganisation for court approval. It is worth mentioning that the Bankruptcy and Reorganisation Act was inspired by Chapter 11 of the US Bankruptcy Code, with numerous adaptations. For instance, under Brazilian law, only the debtor may officially present a plan of reorganisation, and not its creditors. It is also important to note that Brazilian law provides for a system highly concerned with the preservation of the company, which may at times be opposite to the creditors' interests. 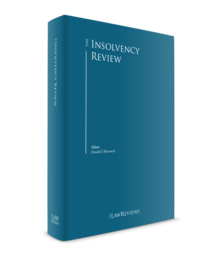 This chapter will limit its scope to address the bankruptcy and reorganisation proceedings in a more comprehensive manner, rather than approach several subjects without the necessary depth. with respect to tax collection claims and claims that are not affected by the debtor's bankruptcy or judicial reorganisation, the seizure of the debtor's assets or any judicial proceedings that may interfere with the debtor's possession of assets that are essential to the continuity of the business activity are suspended and subject to the bankruptcy court's assessment. In bankruptcy proceedings, the judicial administrator may choose to satisfy existing contracts if they are financially viable to the estate and may possibly increase its going concern, maximising the company's value. In judicial reorganisation proceedings, all existing contracts are normally fulfilled by the company's administrators, unless they are beyond its economic capacity. In both cases, there is controversy regarding the possibility of the other party terminating the contract based on an ipso facto provision, with recent jurisprudence recognising that such a provision is void and case law analysing the singularities of each situation to determine whether to nullify this provision. In judicial reorganisation proceedings, the sale of assets by the company's administrators is restricted. The sale of permanent assets after the filing requires either the authorisation of the bankruptcy court or a specific provision in the plan of reorganisation, to be approved by the creditors. claims that are secured by certain assets of the debtor's estate, such as pledges and mortgages. These claims are affected by bankruptcy and reorganisation proceedings: in bankruptcy, the creditor is entitled to satisfaction of his or her claim with the earnings from the sale of the secured asset; in judicial reorganisation, the creditor may be subject to a haircut, a deferral of payment or even the loss of the security, if approved by the creditors. subordinate claims, which arise from contractual agreements or legal provisions, or are held by creditors that are shareholders, partners or administrators without an employment relationship. These unsecured claims are affected by bankruptcy and are discharged with the proceeds from the liquidation of the estate. In judicial reorganisation, all of these claims are also affected, except for tax claims. Moreover, other claims are unimpaired by bankruptcy or judicial reorganisation proceedings, such as administrative expenses, any post-petition claims, advances on foreign exchange contracts and certain bank loans relating to export finance. The main purpose of judicial reorganisation proceedings is to protect the company and stimulate economic activity, providing the debtor the tools needed to overcome its economic and financial crisis, in order to maintain the production source, the employment of workers and the interests of the creditors. Usually, a company will only be admitted into judicial reorganisation if it demonstrates its viability. Once a company is considered viable, all efforts are made to preserve it and assure its continuity. Although it is recommended for companies to resort to judicial reorganisation at the beginning of financial hardship, it is not uncommon to see companies use this instrument as a way to postpone bankruptcy and liquidation, dragging creditors and stakeholders down a long and tortuous road paved with little economic activity, plummeting revenue and even more debt. On the other hand, extrajudicial reorganisation is a measure used by companies that intend to limit the reputational troubles caused by the filing of a judicial reorganisation. By nature, it is an agreement obtained from direct negotiation with certain creditors – commonly the most important and relevant creditors. The result is an extrajudicial plan of reorganisation that is submitted to the bankruptcy court for validation. For a long time since the enactment of the Bankruptcy and Reorganisation Act, this instrument was seldom used by companies owing to the lack of legal discipline, jurisprudence and case law; only recently has extrajudicial reorganisation gathered interest from companies undergoing financial difficulty. Finally, when it comes to bankruptcy proceedings, the objective is to maximise the value of the assets and liquidate the company, using the proceeds from the sale to pay the company's creditors. Whenever possible, the judicial administrator will sell the company as a whole, transferring to the buyer all, or most, of the assets, the workforce and the existing contracts. This allows the business to continue, without the responsibility to pay the estate's creditors, which will receive the earnings from the sale according to their priority. Considering its transactional nature, the extrajudicial reorganisation proceedings begin with the company presenting the plan of reorganisation to the bankruptcy court for validation. Alongside the plan of reorganisation, the company must present a commitment term for each creditor that approves the plan. If all creditors encompassed by the plan approve it, the bankruptcy court may validate the plan, as long as it fulfils the other legal requirements. However, the plan may be validated if at least three-fifths of the encompassed creditors approve it, in which case the plan will bind the remaining two-fifths of the creditors that did not approve it. Once the plan is presented to the court, the bankruptcy judge shall order the release of a public notice so that all creditors may submit their opposition, including those that are not affected by the extrajudicial plan of reorganisation. With the resolution of any potential opposition, the bankruptcy court must validate the plan, after which it will start taking effect. It should be emphasised that not all claims may be impaired by the extrajudicial plan of reorganisation, such as the following: labour-related claims, tax claims, claims held by creditors with property interests that are in possession of the debtor, advances on foreign exchange contracts and certain bank loans relating to export finance. In judicial reorganisation proceedings, the debtor remains in possession of its business, maintaining shareholders' powers and prerogatives, barring a few occasions when the bankruptcy court, its creditors and even the debtor may replace the company's management. When a company is under financial duress, it may file for judicial reorganisation hoping to stay any payments to its creditors and renegotiate its debts. In the moment of filing, there is no judicial plan of reorganisation and there are usually very few ongoing negotiations with creditors. Once the petition is filed, all existing claims, except for those mentioned previously, are subject to the effects of judicial reorganisation and any payments regarding such debts are halted. These claims will be paid in accordance to the provisions of the judicial plan of reorganisation and may suffer a haircut, have lower interest rates and longer payment schedules, for example. the company must present a list of any existing protests of titles and legal actions. The request is reviewed by the bankruptcy court and, if all legal requirements are fulfilled, the company is admitted into judicial reorganisation. A judicial administrator is appointed, but it does not hold managing powers; it works as a court examiner, reviews the list of creditors, provides an independent opinion on the debtor's accounts and is heard on almost every subject regarding the proceedings. At the same time, legal actions and enforcement proceedings against the debtor are stayed for 180 days (as mentioned before), and there is a suspension of the statute of limitations. Though after the filing, much of the debtor's corporate information becomes public, the judicial reorganisation proceeding does not interfere in the company's day-to-day life, considering that the debtor is kept running the business and relatively free to take business-oriented decisions. It must ask the court permission to sell permanent assets, but does not need any previous authorisation to run the business as a whole. After the company is admitted into judicial reorganisation, its management and administrators negotiate the terms of the plan of reorganisation with its main creditors and submit the plan to discuss and vote at the creditors' general meeting, if need be. The plan is filed by the debtor before the general creditors' meeting, and the creditors may present an opposition to the plan before the vote.6 Although the Bankruptcy and Reorganisation Act provides that only the debtor may submit a plan of reorganisation to the creditors, it is common for creditors to (informally) submit an alternative plan at the general creditors' meeting, to be reviewed, discussed and even voted by the creditors – however, such a plan needs to be approved by the debtor in order to replace the original plan. corporate restructuring, with a transfer of the company's control, a total or partial spin-off, a merger consolidation, or, simply, the replacement of its managers. If no creditors oppose the plan of reorganisation presented by the debtor, the court will grant the company's judicial reorganisation. However, if at least one of the creditors objects to the plan, the general creditors' meeting must take place to discuss and vote the plan. There are some possible outcomes: if the plan is approved (by double majority – heads and claims), the bankruptcy court simply confirms the plan; if the plan is rejected, the bankruptcy court may allow the debtor to submit an alternative plan, declare the debtor's bankruptcy, or confirm the plan through cramdown. In Brazil, there are specific requirements that need to be met in order for the bankruptcy court to confirm the plan via cramdown: approval of the plan by creditors representing more than half the value of all claims present in the meeting, regardless of class; approval of two classes of claims, or at least one class if there are only two classes; and within the class that rejected the plan, the approval of at least one-third of its creditors. The approval and confirmation of the plan of reorganisation binds all creditors (whether they have approved the plan or not) and results in the novation of the impaired claims. The debtor must remain under supervision of the court and the judicial administrator for two years, after which it may request the court to terminate the judicial reorganisation proceeding, if all the plan's obligations, within such period, are duly satisfied. If any obligations are defaulted, the bankruptcy court may declare the debtor's bankruptcy, though recently the courts have allowed for the debtor to submit an amendment to the plan for creditor approval, before declaring the company bankrupt. With the declaration of bankruptcy, a judicial administrator is appointed to replace the company's administrators and management. The judicial administrator takes control of the company and seizes all of its assets to be liquidated at a later moment. If the company still performs a business activity, the judicial administrator may choose to preserve it to generate more proceeds and maximise the value of the company's assets when sold. Following the seizure of the debtor's assets, the judicial administrator shall list and evaluate the assets. This evaluation may consider each asset individually (for instance, a piece of machinery inside a factory) or bundled together in an isolated production unit (the factory and everything needed for it to operate), whichever generates more resources to pay the creditors. Once the assets are evaluated, the judicial administrator moves on to the judicial sale of the assets, under the bankruptcy court's supervision. There are three different procedures that may be adopted: an open auction of the assets; a sale through sealed proposals, in which the bids are submitted to the bankruptcy court and are opened by the judge and judicial administrator on a predesignated day, time and place; and a two-stage auction, with the submission of sealed proposals in a first stage and a second stage with an auction by oral bidding, in which only interested buyers who have submitted proposals of no less than 90 per cent of the highest bid participate. The winning bidder will acquire the property without any risks of succession of debts and other obligations originating from the asset or the debtor. After the sale of assets, the judicial administrator shall distribute its proceeds to the creditors according to the classification of their claims. If all creditors are paid in full (which is very unusual), the remaining balance is transferred to shareholders, pro rata. The judicial administrator then presents a report of its accounts to the bankruptcy court with all necessary documents, and the judge may accept it or not. If the accounts are not accepted, the judicial administrator is responsible for indemnifying the debtor against any damages caused. If the accounts are accepted, the judicial administrator submits a final report, and the court terminates the bankruptcy proceeding. Notwithstanding, the debtor is only discharged of its obligations: if all claims are satisfied completely; if at least half of the unsecured claims without no preference or privilege have been paid; after five years of the termination of the bankruptcy proceeding, if the debtor, its controlling shareholder or its administrators have not been convicted for committing a crime provided by the Bankruptcy and Judicial Reorganisation Act; and after 10 years of the termination of the bankruptcy proceeding, in case of conviction. does not have an administrator or manager who has been convicted of any crimes provided by the Bankruptcy and Reorganisation Act. There are a few entities that are not encompassed by the Bankruptcy and Reorganisation Act and may not file for judicial or extrajudicial reorganisation, such as: governmental entities, public or private financial institutions, credit unions, insurance companies, healthcare companies, supplementary pension companies, cooperatives, associations and natural persons, among others. The judicial and extrajudicial reorganisation proceeding may involve one company or a group of companies. As for the latter, recently, bankruptcy courts have allowed for a substantive consolidation (and not just a procedural consolidation) of the entire group, with all of its assets responsible for satisfying all of its debts, as if it were a single company. Thus, instead of an individual plan of reorganisation for each company, separate lists of creditors and separate general creditors' meetings, there is only one plan of reorganisation, one list of creditors and one general creditors' meeting. the company's books and accounts, as required by law. the company committed any of the following acts, except in case of judicial reorganisation: the hasty liquidation of the company's assets; the fraudulent transfer of assets to third parties; the transfer of the whole company without the consent of its creditors and without enough assets to satisfy its debts; and the default on any obligation arising from the plan of judicial reorganisation, among other acts. However, the company may stay the bankruptcy proceeding if it deposits the amount owed, or if it files for judicial reorganisation, within the legal time frame to present its defence. Bankruptcy, judicial reorganisation and extrajudicial reorganisation proceedings are held before the bankruptcy court where the company's main establishment is situated, or where the company conducts most of its business. In large cities like São Paulo and Rio de Janeiro, there are specialised bankruptcy lower courts, but in smaller cities, common civil courts hold jurisdiction. The bankruptcy court has power to determine: whether the company fulfils the requirements for its admittance into judicial or extrajudicial reorganisation; if the plan of reorganisation meets the legal requirements and, with the approval of the majority of creditors, grants judicial reorganisation; analyses the request for bankruptcy and, if need be, declares the company bankrupt; and if the proceedings may be terminated. It is also an attribution of the bankruptcy court to appoint the judicial administrator in case of bankruptcy or judicial reorganisation, and to oversee the proceedings. During the proceedings, the bankruptcy court holds hearings and decides on relevant matters involving the debtor's assets and the creditors' claims. In turn, the judicial administrator appointed by the bankruptcy court performs different roles in judicial reorganisation and bankruptcy proceedings. In the former, the judicial administrator supervises the debtor's activities, elaborates a list of claims based on the list submitted by the debtor and the declarations provided by the creditors, presents its opinion in matters relevant to the proceeding and prepares monthly reports. In the latter, the judicial administrator replaces the debtor's management, initiates the inventory and evaluation of its assets, promotes the sale of the assets and pays the creditors, in accordance with their classification. Financial institutions and insurance companies are subject to extrajudicial intervention and liquidation proceedings undertaken by the Brazilian Central Bank and are regulated by Law No. 6,024, dated 13 March 1974. However, the trustee appointed by the Brazilian Central Bank, with its authorisation, may commence a bankruptcy proceeding that is governed by the Bankruptcy and Reorganisation Act. Electrical power companies, as public service providers, are governed by a special regime introduced most recently by Law No. 12,767, dated 27 December 2012. The National Electrical Power Agency intervenes in the company in distress, and its shareholders propose a plan of reorganisation for the Agency's approval. However, this special regime is not applicable to the holding company, which is still subject to the Bankruptcy and Reorganisation Act. There is currently no legislation regarding transnational insolvency, ancillary proceedings and cross-border issues in Brazil. The Bankruptcy and Reorganisation Act adopts the principle of territorialism, which determines the jurisdiction of the country where the company's assets are situated. In contrast, the principle of universalism (embraced by the UNCITRAL Model Law on Cross-Border Insolvency) asserts that insolvency proceedings should commence in the jurisdiction of the company's centre of main interests and encourages cooperation between different countries. Although Brazil has not yet passed an amendment to the Bankruptcy and Reorganisation Act based on the Model Law, case law has allowed for judicial reorganisation proceedings to encompass foreign companies, as long as they are part of a larger economic group with its centre of main interests in Brazil. Examples of this were the submission of foreign companies to the judicial reorganisation proceedings of OGX Group,7 Sete Brasil Group,8 OAS Group9 and Oi Group,10 all carried out by bankruptcy courts in Brazil. Even without any provision in the Bankruptcy and Reorganisation Act regarding cross-border insolvency, Brazilian courts have cooperated with foreign courts and received its assistance when needed. The economic crisis deepened with the revelation that several companies colluded with government officials in elaborate corruption schemes involving state-controlled companies, in order to divert funds from government contracts. This worsened the political climate and culminated with President Dilma Rousseff's impeachment in mid-2016. The presidency was handed over to the Vice President Michel Temer, who took power with a discourse of financial austerity and plans to reinvigorate the economy, with the renewal of the economic cabinet. All this political and financial turbulence caused an increase in the number of bankruptcy and reorganisation proceedings in Brazil, according to the table below. A record 1863 companies filed for judicial reorganisation in 2016, more than twice the number verified two years previously. The information in this chart account for the proceedings commenced after the Bankruptcy and Reorganisation Act, passed into law in 2005. 1 Total number of companies declared bankrupt. 2 Total number of judicial reorganisation requests. 3 The numbers account for bankruptcy and judicial reorganisation proceedings until June 2018. 4 Calculated considering the number of companies declared bankrupt until June 2018 (829). 5 Calculated considering the number of judicial reorganisation proceedings until June 2018 (685). The table shows a great leap in judicial reorganisation proceedings after the sub-prime mortgage crisis in 2008–2009. In 2015 and 2016, another gradual increase Is noticeable, because of the deep recession that Brazil has gone through. Since bankruptcy is considered the last resort for administrators and management, the number of bankruptcy proceedings does not show a growth, but rather a decrease since the enactment of the Bankruptcy and Reorganisation Act in 2005, which offered companies the possibility of commencing reorganisation proceedings to ensure their recovery. In the past year, from June 2017 to June 2018, 987 small businesses, 379 mid-sized companies and 233 large companies have filed for judicial reorganisation. In the same time frame, 732 small businesses, 240 mid-sized companies and 115 large companies have been declared bankrupt. Although this information shows the difficult situation Brazilian companies are undergoing, there is hope for a new cycle of economic growth, with the federal government's commitment to pass laws that limit and reduce government expenses. However, this new cycle depends heavily on the presidential election that will take place on October 2018 and the new President's economic agenda. Oi Group is the largest Brazilian telecommunications company. Several events paved the way to the group's judicial reorganisation proceeding, including, but not limited to: changes in consumer habits over time; excessive regulation over the telecommunications sector, which has forced Oi to invest in less relevant markets; high interest rates; and substantial enforcement of regulatory fines by the Brazilian Telecommunications Agency. In parallel with the judicial reorganisation procedure in Brazil, the Dutch Court of Appeals has declared the bankruptcy of two Netherlands-based companies that are part of Oi's conglomerate and subject to the Brazilian reorganisation proceeding. Since the first signs of financial deterioration, Oi has been working together with outside financial and legal advisers in Brazil and abroad; their assistance in negotiating with creditors and the evaluation of viable alternatives for recovery has been essential. In the past few months, Oi has implemented an internal restructuring project comprising more than 370 initiatives, which, in general, aim to increase market share and productivity, reduce costs and expenses and bolster operational efficiency. The group's total debt subject to the judicial reorganisation proceeding surpasses 65 billion reais, which makes it the largest reorganisation proceeding in Brazilian history. There is also a substantial number of creditors, more than 90,000. On 20 December 2017, the general creditors` meeting approved the plan of reorganisation, with the possibility of the creditors owning up to 75 per cent of the company, through a conversion of debt to equity. The plan was subsequently confirmed by the US Bankruptcy Court of the Southern District of New York and the Dutch court overseeing the bankruptcy proceeding of the foreign subsidiaries, Oi Brasil Holdings Cöoperatief UA (FinCo) and Portugal Telecom International Finance BV. Eneva, previously known as MPX Energia S/A, is an energy company that focuses on power generation, as well as oil and gas exploration and production. It is considered one of the sector's main players. The company has accumulated debts with financial institutions through project finance operations. Eneva has organised its expansion by using special purpose companies to concentrate its operational activity, but owing to difficult economic conditions the group was not able to fulfil its plans to build power plants. When these subsidiaries did not generate the estimated revenue, Eneva could not satisfy its obligations to financial institutions. Furthermore, the significant increase in the price of electric energy and economic instability were also deciding factors that contributed to the filing of the judicial reorganisation proceeding in December 2014 by the Eneva Group. The special purpose companies that are party to the government contracts for energy production were not involved in the proceeding. After a very successful restructuring process, Eneva's judicial reorganisation proceeding was terminated roughly 19 months after its filling and 11 months after the decision that granted it the legal favour. This time frame is well below the two-year minimum supervision period and is considered one of the most successful judicial reorganisation cases since the enactment of the Bankruptcy and Reorganisation Act. União das Lojas Leader S/A (Leader) is one of the largest and most famous Brazilian retail companies. The financial crisis faced by Leader originates from: the increase of interest rates, which made credit more expensive, as well as reducing consumers' purchasing power; the national and international economic instability, which led to lower exports; and the greater competition between retailers caused by a general decrease in sales. Seeking the restructuring of its debts with suppliers, Leader filed for extrajudicial reorganisation, which embraces more than 300 suppliers and, although challenging, the company has obtained the approval of more than three-fifths of its creditors. On 20 June 2018, the Rio de Janeiro Court of Appeals confirmed the extrajudicial plan of reorganisation. Triunfo Group is one of the largest Brazilian infrastructure conglomerates. The recent economic instability in Brazil is one of the main reasons for the financial distress suffered by the group, which caused substantial impact on the infrastructure sector and in credit costs. In addition, the Brazilian National Bank of Investment (BNDES) filed enforcement claims against the group's companies to receive the payment of over 980 million reais. These factors forced Triunfo to negotiate with its creditors and file for extrajudicial reorganisation, to restructure its debts with financial institutions. Triunfo's debt covered by its extrajudicial reorganisation proceeding amounts to nearly 2.5 billion reais. The group's restructuring proceeding is one of the largest and most significant extrajudicial reorganisation cases, considering its total debt and the participation of important creditors, such as BNDES. On 9 February 2018, the Rio de Janeiro bankruptcy court confirmed the extrajudicial plan of reorganisation. Although the ruling is the object of pending appeals, they did not stay the implementation of the extrajudicial plan of reorganisation. Thus, in compliance with the plan, the company has conducted a reverse Dutch auction in which the creditors had the opportunity to propose haircuts on their own claims. At the end of this auction, the debt restructuring process proved to be very successful, resulting in an average haircut of 55.2 per cent in Triunfo's debts. 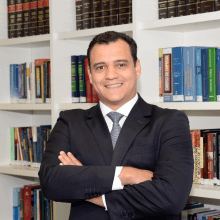 Currently, Triunfo awaits the rejection of the pending appeals against the extrajudicial plan of reorganisation by the São Paulo Court of Appeals. Ancillary insolvency proceedings are not mentioned by the Bankruptcy and Reorganisation Act, but despite the lack of legal provisions, in recent years case law has allowed the dialogue between Brazilian bankruptcy courts and foreign courts, mostly in cases in which the foreign subsidiary is part of a larger economic group with its centre of main interests in Brazil. Examples of this were the submission of foreign companies to the judicial reorganisation proceedings of OGX Group, Sete Brasil Group, OAS Group and Oi Group, as mentioned before. A major discussion involves the Dutch subsidiaries part of the Oi Group, FinCo and PTIF: the Dutch court has declared these companies bankrupt, and the Brazilian bankruptcy court handling Oi's judicial reorganisation proceeding has not acknowledged this ruling. Further, the Brazilian court imposed a fine in the event the trustee in the Dutch proceedings fails to respect its decision. In light of this, the trustee requested the recognition of FinCo's declaration of bankruptcy by the US Bankruptcy Court of the Southern District of New York, the same court that signed off on Oi's Chapter 15 protection (recognising the judicial reorganisation before the Brazilian court as the main foreign proceeding). The US Bankruptcy Court later acknowledged that the Dutch court and the trustee should comply with the Brazilian bankruptcy court's rulings. Once the plan of reorganisation was approved and confirmed by the Brazilian bankruptcy court in the end of 2017, the Dutch court and the US Bankruptcy Court also confirmed the plan, demonstrating a remarkable effort in cooperation between different jurisdictions, with the same goal: the successful recovery of the ailing telecommunications conglomerate. One of the many proposals to boost economic growth is an amendment to the Bankruptcy and Reorganisation Act, the Draft Bill No. 10,220, introduced to the Brazilian House of Representatives on 10 May 2018. The first draft was the result of a working group put together with several respected scholars and tasked with the objective of updating the current legislation. Unfortunately, this first draft has been severely modified by the Ministry of Finance, mainly to strengthen the tax authority's privileges in judicial reorganisation proceedings. financing would be tremendously facilitated with several provisions allowing the encumbrance of assets after the filing for judicial reorganisation. However, one of the most important changes in the Bankruptcy and Reorganisation Act would be the adoption of the UNCITRAL Model Law on Cross-Border Insolvency, with its mechanisms for international cooperation, expressly permitting plenary insolvency proceedings at the centre of main interests and ancillary proceedings where the debtor has foreign affiliates. Nevertheless, this draft of the bill still needs to be the object of deliberation in both the House of Representatives and the Senate (where it would be subject to any number of changes) and then passed into law, with the President's sanction. 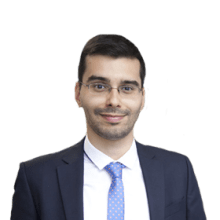 It is also relevant to mention that, because of Brazil's economic instability mentioned above, as well as the increase of judicial reorganisation proceedings, creditors seem more open to directly negotiating their claims with companies in debt. This creates the possibility of a greater number of extrajudicial reorganisation proceedings, seen by stakeholders as a way of avoiding the negative reputational impact of judicial reorganisation proceedings. 1 Mauro Teixeira de Faria and Rodrigo Saraiva Porto Garcia are partners at Galdino & Coelho Advogados. 2 Law No. 11,101, dated 9 February 2005, known as Lei de Recuperação de Empresas e Falências, latest amendment Supplementary Law No. 147/2014. 3 Law No. 10,406, dated 10 January 2002, latest amendment Law No. 13,532/2017. 4 Law No. 5,869, dated 11 January 1973, mostly revoked by Law No. 13,105/2015, with the exception of the provisions regarding insolvency proceedings for natural persons, effective until specific legislation is passed. 5 Law No. 6.404, dated 15 December 1976, latest amendment Law No. 13.129/2015. 6 The debtor must ensure that the plan is economically viable, presenting an economic and financial evaluation based on the company's assets and properties. 7 OGX International GMBH and OGX Austria GMBH HSBC CTVM S/A incorporated in Austria. 8 Sete Holding GMBH, Sete International One GMBH and Sete International Two GMBH incorporated in Austria. 9 OAS Finance Limited and OAS Investments Limited incorporated in the British Virgin Islands and OAS Investments GMBH incorporated in Austria. 10 Oi Brasil Holdings Cöoperatief UA and Portugal Telecom International Finance BV incorporated in the Netherlands.